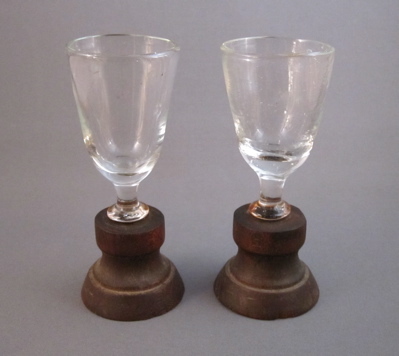 This unusual pair of American blown glass wine goblets date to the late 1700s and stand approx. 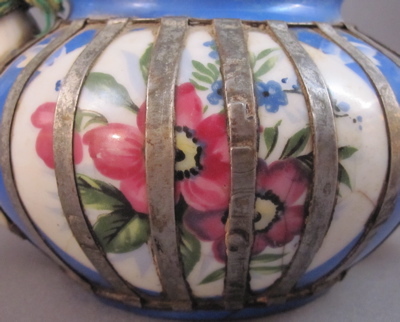 4″ tall. 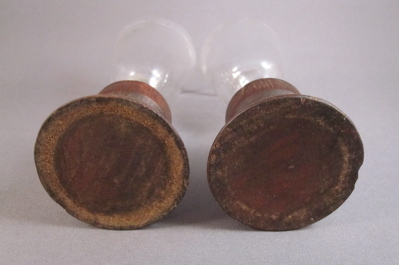 I love finding pairs of early repaired items and these are no exception. 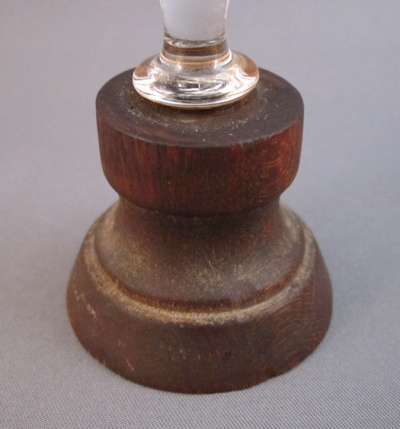 When the bases snapped off at the stems, a turned wood base was made for each as a practical replacement. 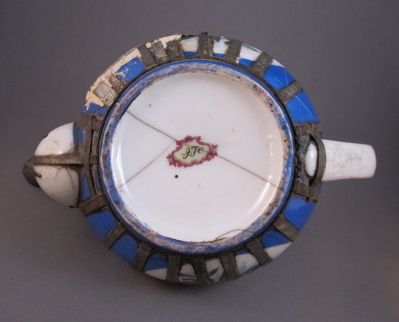 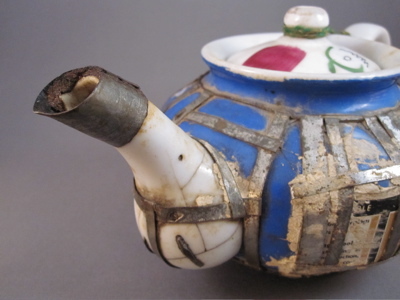 This small, hard paste ceramic ovoid shaped teapot with colorful hand painted floral decoration in oval reserves on a blue ground has sustained more damage than just about any other piece in my collection. 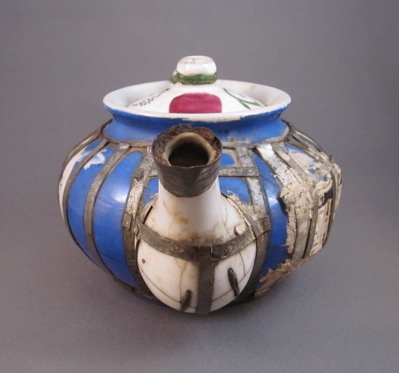 Most likely made in Moscow in the early 1900s for the Persian market, it came from the estate of a doctor who taught medicine in Afghanistan in the 1950s-60s and travelled extensively, acquiring items from around the world. 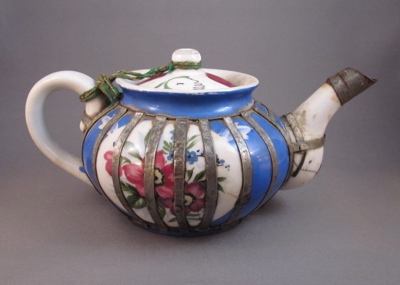 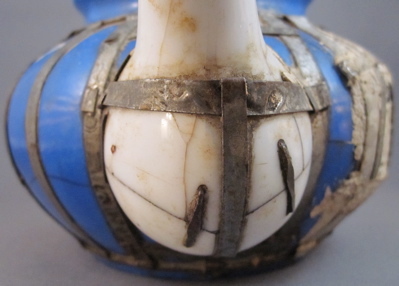 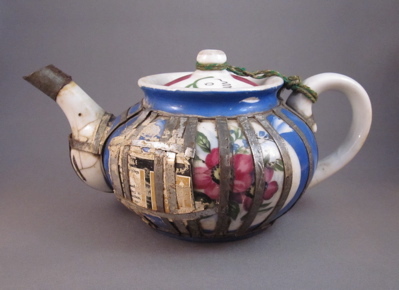 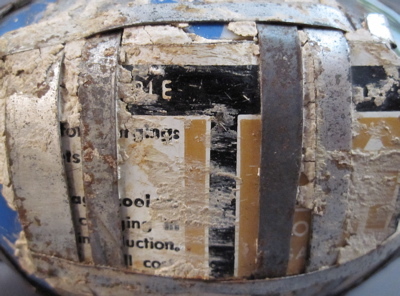 The multiple repairs appear to have been done in Persia over a period of time, and include a number of staples, a replaced metal spout, a large patch made from a tin can cemented to one side, a green string tethering the mismatched lid to the handle, and an inexplicable metal buttress encompassing the body. 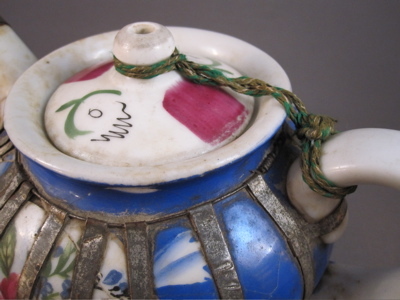 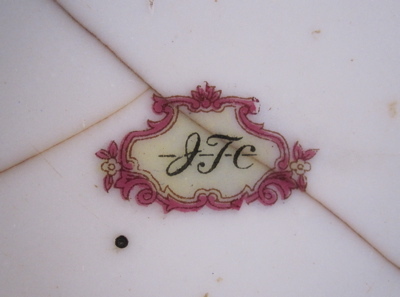 Teapot measures 4″ high by 8-1/2″ wide from handle to spout and is marked on the base with cursive letters JTC in a decorative cartouche. 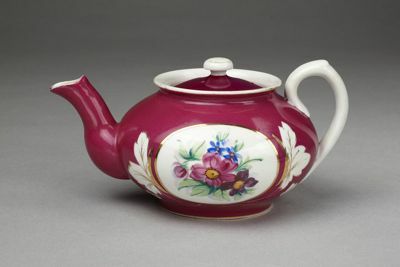 This teapot with similar form and decoration was made by the Gardner Porcelain Factory in Moscow, c.1860.